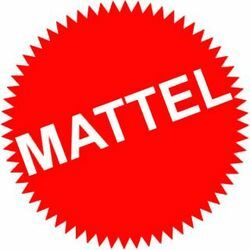 DividendMax»Company Coverage»Country:United States»Exchange:NASDAQ»Sector:Travel & Leisure»Company:Mattel, Inc.
Mattel, Inc. (www.mattel.com) is the worldwide leader in the design, manufacture and marketing of toys and family products. The Mattel family is comprised of such best-selling brands as Barbie®, the most popular fashion doll ever introduced, Hot Wheels®, Matchbox®, American Girl®, Radica® and Tyco R/C®, as well as Fisher-Price® brands, including Thomas & Friends®, Little People®, Power Wheels® and a wide array of entertainment-inspired toy lines. In 2012, Mattel was named as one of FORTUNE Magazine's "100 Best Companies to Work For" for the fifth year in a row. Mattel also is ranked among Corporate Responsibility Magazine's "100 Best Corporate Citizens." With worldwide headquarters in El Segundo, Calif., Mattel employs approximately 28,000 people in 43 countries and territories and sells products in more than 150 nations.